Amazon, Inc., operating as Amazon, is a US-based E-commerce company engaged in selling products online, with a strong delivery system across the globe. The company was originally engaged in book selling and gradually started to sell a wide range of consumer goods and digital media products such as the Kindle Fire tablet and Fire TV, and Kindle e-book reader, which is a streaming media adapter. The company sells all trending and in-demand products at cost-effective prices. Products include consumer goods, electronics, perishable food items, and household items to name a few. Subsidiaries: A9.com, Amazon Maritime, Audible.com, Beijing Century Joyo Courier Services, Brilliance Audio, ComiXology, CreateSpace, Goodreads, Lab126, Shelfari, Twitch, Whole Foods Market, and Junglee. Products: Retail goods, Amazon Prime, Consumer electronics, Digital content, Amazon Destinations, Handmade by Amazon, Amazon Inspire, Amazon Cash/Top Up, Amazon 4-star, and many others. In order to cater to the middle class and lower class consumer segments and expand customer base, Amazon.com, Inc. has come up with ‘No Cost EMI’ approach, which allows customers to procure products on installments with no additional costs. This approach helps Amazon to increase sales and revenues. Amazon sold around 100 million products during the 36-hour Amazon Prime Day sale in July 2018. AWS Elemental MediaConvert has currently been made available in Northern California, Virginia, Ohio, Oregon, Canada, India, South Korea, Singapore, Sydney, Tokyo, Frankfurt, Ireland, London, and São Paulo to name a few. Amazon.com Inc. bought Ring smart doorbell maker, which is Amazon’s second-largest acquisition ever for around US$ 1.2 Billion and US$ 1.8 Billion. In January 2019, the company launched Windows Server 2019 AMIs for Amazon EC2, which will provide customers with an easy and flexible way to get up and running with the latest version of Windows Server. Amazon to expand its physical retail presence in 2019. Amazon to spin-off Amazon Web Services into a separate, publicly traded company in 2019. Net sales of the company was US$ 178 Billion in 2017, and this growth in revenues has been significantly driven by rising preference for shopping online, which has been increasing at a rapid pace in the recent past. This trending shift in preference is primarily due to ease and convenience, increasing bandwidth and Internet connectivity and speed, range of options to compare, end-user reviews and ratings, easy payment options, fast delivery, easy return and refund option. A substantial number of small and medium-sized businesses worldwide currently sell their products through Amazon to reach new customers across the globe. Small and medium-sized businesses (SMBs) from over 130 countries across the globe sell their products through Amazon. In 2017, products sold by over 140,000 SMBs through Amazon collectively accounted for revenue of around US$ 100,000, and royalties generated by over 1,000 independent authors accounted for US$ 100,000 through Kindle Direct Publishing services the same year. The company engages in other businesses, apart from its online sales platform. Other businesses include software development centers, individual website services, customer service centers, and fulfilment centers at various locations in countries across the globe. Amazon.com, Inc. operates through three key business segments namely: North America, Internationally, and Amazon Web Service (AWS). Amazon.com. 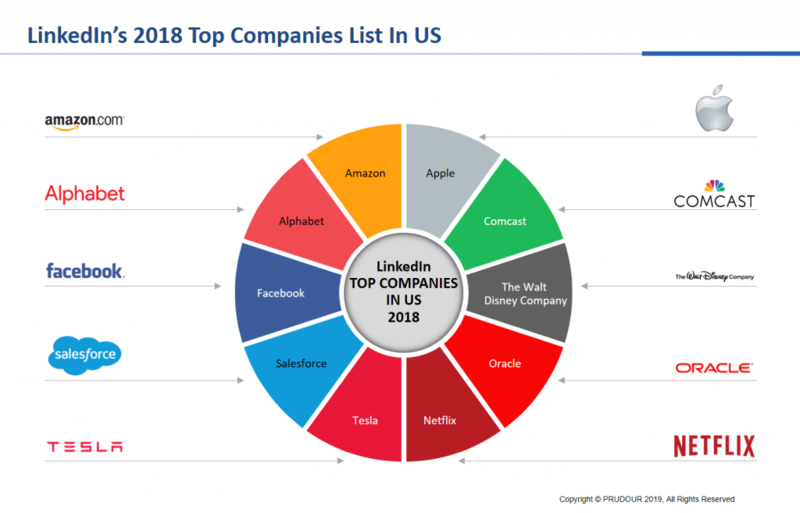 Inc. has been ranked #1 business on LinkedIn’s 2018 Top Companies list in the US, in addition to being ranked 5th in Forbes’ Top 10 Most Valuable Brands in the World the same year. Amazon.com was also ranked among the top Internet-based companies in the world in 2017. 1995: Amazon.com was launched, and Cadabra, Inc. was renamed Amazon.com, Inc.
1997: The company went public, and Amazon.com. Inc. became the first Internet retailer to secure over 1 million loyal customers globally. 1998: Amazon.com, Inc. entered into online music and video businesses. 1999: The company expanded in terms of new businesses such as selling toys, electronics, tools, and hardware components. 2001: Amazon.com, Inc. entered into strategic agreement with a US-based book and music retailer Borders Group, Inc., and Amazon agreed to co-manage Borders.com website as a co-branded service. 2002: The company started Amazon Web Services (AWS), through which it provides a mix of Infrastructure as a Service (IaaS), Platform as a Service (PaaS), and packaged Software as a Service (SaaS) offerings. 2006: The company enhanced its Amazon Web Services portfolio by offering Elastic Compute Cloud, and Simple Storage Service. 2011: Amazon.com. Inc. and American comic book publisher – DC Comics – entered into partnership in order to gain exclusive digital rights for various popular comics, including Batman, Superman, Green Lantern, and others. 2013: Amazon partnered with a US Postal Service (UPS) with the objective being to deliver orders to customers on Sundays. Thirteen years post-launch, Amazon Prime has over 100 million paid Prime members globally. In 2017, Amazon.com, Inc. delivered over 5 billion items through Prime subscriptions across the globe, and a large number of members – both internationally and in the US – joined Prime as compared to any of the previous years. The company is currently focusing on expanding Prime services to other countries, including Mexico, the Netherlands, Luxembourg, Singapore, Japan, and others. In October 2018, the company announced the launch of new Business Prime benefits for all sizes of businesses in the US, Japan, and Germany. Currently, Business Prime enables members to visualize spend data and to identify money-saving opportunities using Spend Visibility. Members can also set policies to improve compliance and maximize their budget with Guided Buying. Amazon Web Services, Inc. operates as a subsidiary of Amazon.com, Inc., and offers on-demand cloud computing technology as paid subscription on monthly or yearly basis. Amazon Web Services has accelerated its pace of innovation and Web Traffics, especially in new areas of technology, including machine learning and Artificial Intelligence (AI), Internet of Things (IoT), and server-less computing. Amazon Alexa, also known as Alexa, is a virtual assistance designed and developed by Amazon. The device allows the user to speak to an Echo smart speaker and get a range of simple tasks done; such as dimming home lighting, playing or changing music tracks, and making online purchases to name a few. In 2017, approximately 10 Mn Echo devices were sold globally, and other devices such as Echo Dot, and Fire TV Stick with Alexa were among the bestselling products offered by Amazon. In addition, the company launched Next Gen Fire TV, with enhanced features such as 4K Ultra High Definition (UHD) and HDR, and Fire High Definition 10 Tablet, with 1080p Full HD display features. In addition, the company introduced Kindle Oasis reader with waterproof feature and a larger (7-inch) high resolution 300 PPI display. The device has built-in ‘Audible’ audio feature, which enables a user to listen to content in books. Amazon Music was launched in public beta on September 25, 2007, and is a music streaming platform and online music store operated by Amazon.com. In January 2008, Amazon Music became the first music store to sell music from the four major music labels, as well as many independents, without digital rights management. Amazon Music Unlimited is an on-demand, ad-free service, serving users in over 30 countries as of 2017. About 7.5% of Seattle’s working-age population are Amazon employees.